Our tour today introduces us to the culture and history of the native peoples who inhabited this area in the Kawarthas, northeast of Toronto, long before European explorers and our forefathers settled here in what today is known as Ontario. 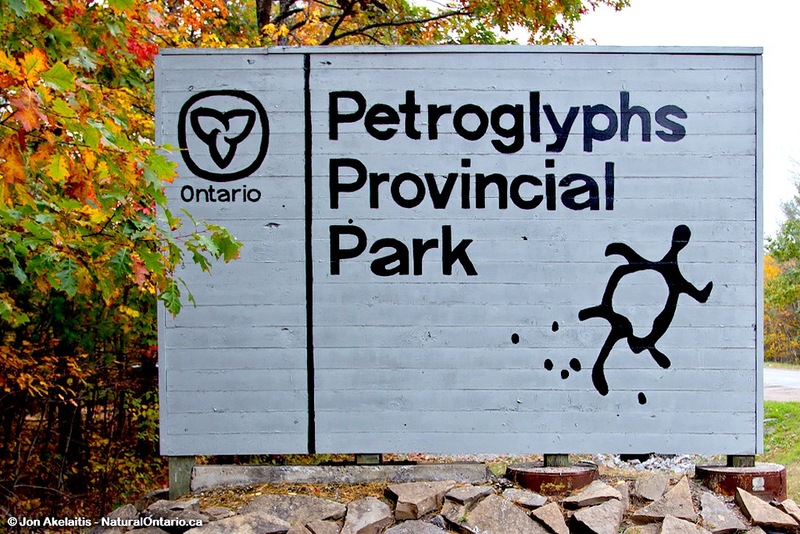 Our first stop will be the Petroglyphs Provincial Park which has the largest known concentration of Aboriginal rock carvings (petroglyphs) in Canada, depicting turtles, snakes, birds, humans and more; this sacred site is known as “The Teaching Rocks”. We will also have an opportunity to enjoy a picnic. Please bring along your own packed picnic lunch or purchase one at our rest area stop along the way. Optional hiking opportunities along one of the trails in the park will also be available ranging from easy to difficult, depending on your skill and stamina. 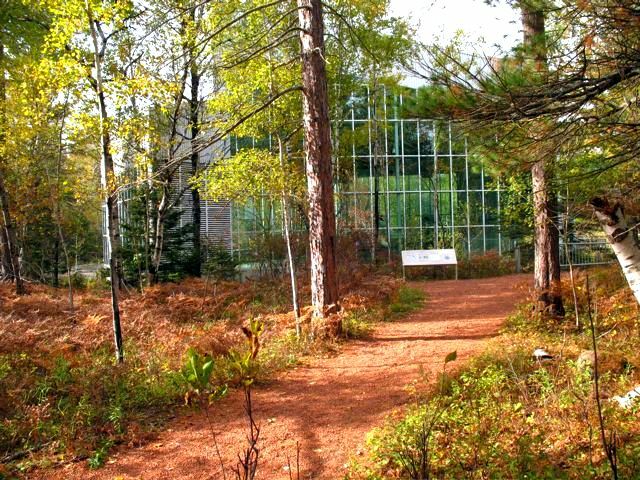 After our visit to the park, we will proceed to the Whetung Ojibwa Cultural Centre where we will get a step-on tour guide to take us on a brief tour of the Curve Lake Aboriginal Reserve followed by an opportunity to tour the gallery & museum and shop in the extensive gift shop. 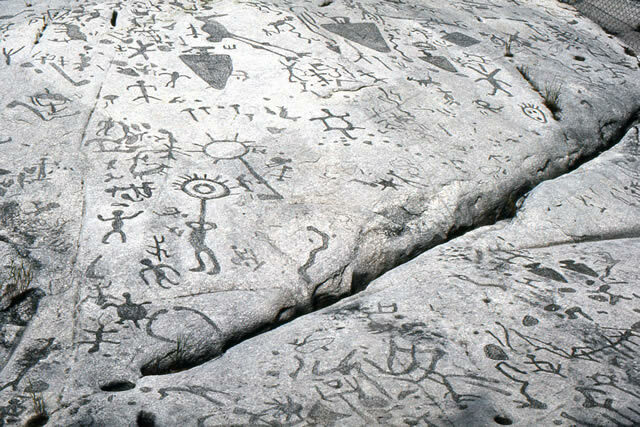 Admission to Petroglyphs Provincial Park. 20 minute film about the park and it's carvings. Picnic and hike opportunity at the park. Lunch is not included in tour price, please bring your own packed lunch or purchase something at our rest area stop on the way to the park. Short guided tour of the Curve Lake Aboriginal Reserve. Visit to the Whetung Ojibwa Cultural Centre Gallery & Museum. 8:55 AM -- Whitby Carpool Lot, Hwy 401 & Brock St S.
Visitors to Petroglyphs will find many things to do at the park. We will visit the Learning Place (Visitor's Centre) where you will find out about the central traditions of the Ojibway (Nishnaabe) people through the teachings of the medicine wheel. 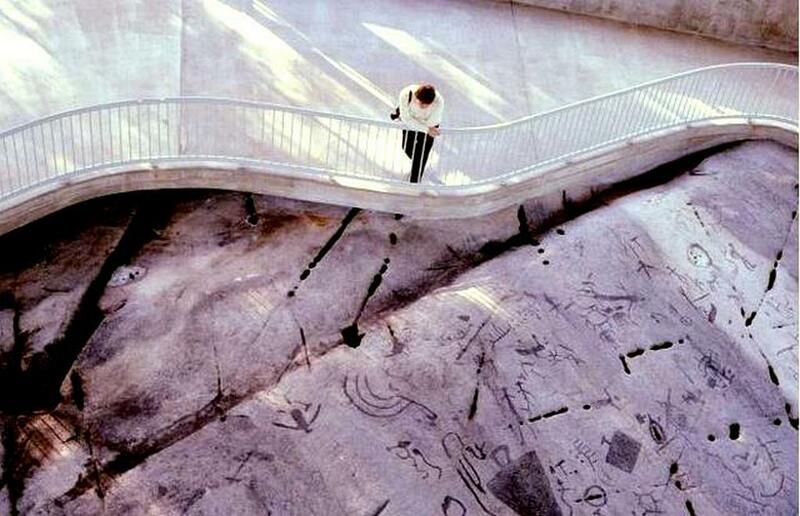 Then take the walking path to the petroglyphs site to see the hundreds of carvings in the soft, white rock. Picnic by the Learning Place or explore one of the park trails and immerse yourself in nature. Two hiking trails are available at the park and given our schedule, you will most likely not be able to walk the entire trail but you are most welcome to try one of the trails. Nanabush Trail 5.5 km (1.5 hours) easy. The trail crosses a variety of terrain from wetlands to rock outcrops. A trail booklet describes native legends: Learn how the White Birch got its black marks, why moss grows on rocks and how the Milky Way was created. West Day-Use Trail 5 km (1.5 hours) moderate. This narrow trail winds through large pine stands and areas of oak and birch. A bridge crosses an ancient streambed made thousands of years ago. Experience the traditions of the past reflected in the present. Whetung Gallery is located in the heart of Curve Lake Indian Reserve. Whetung Ojibwa Centre offers a spectacular collection of Native crafts as well as Fine Art, Jewelry, Moccasins, Leather Work, Sculptures and much more from Curve Lake First Nation and across Canada. The main building displays handcrafts from all parts of Canada, as well as those still produced within the community. 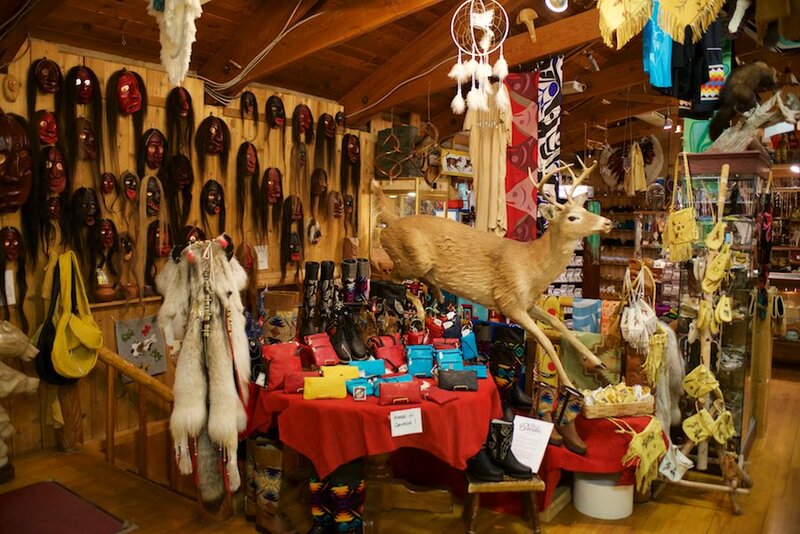 The area downstairs offers a selection of arctic parkas, Cowichan sweaters, leather garments, souvenir apparel, gloves and various bead accessories. Adjacent to that is the museum. It features the Whetungs’ private collection, the work of artists and craftspeople from the Curve Lake Reserve and outstanding native craft work from across Canada. One can literally spend hours browsing through the gallery rooms which are filled floor to ceiling with carvings, masks, pottery, paintings, beadwork, quillwork, jewelry, traditional music, and other decorative items of every description. Beyond the central gift shop area lies a high-ceilinged gallery featuring framed fine art and sculpture, original paintings as well as posters, limited editions and cards.